Barnes & Noble on Tuesday announced that it will begin to provide the option to buy and rent movies later this fall. The company has secured partnerships with all of the major players in the video content industry, including HBO, Sony Picutres, Starz, Walt Disney Studios, Viacom and Warner Brothers Entertainment. Anything that’s purchased from the Nook Store will be available from the Nook Cloud, which means that other mobile devices with the Nook app installed will be able to access the content, too. 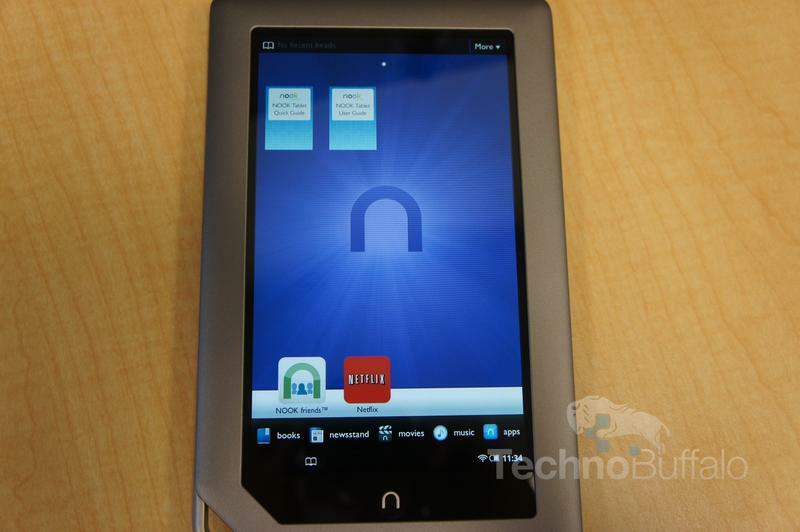 We’re definitely pumped for the service; Amazon offers its Unbox service for prime members, but Barnes & Noble has definitely added a compelling feature that will help its Nook tablet compete more aggressively against the Kindle Fire and other tablets. Barnes & Noble said the service will also launch in the U.K. in time for the holidays. New York, New York – September 25, 2012 – Barnes & Noble, Inc. (NYSE: BKS), the leading retailer of content, digital media and educational products, today announced its new NOOK Video offering will premiere this fall with blockbuster movies, classic films and original TV shows from major studios including HBO, Sony Pictures Home Entertainment, STARZ, Viacom and Warner Bros. Entertainment, plus favorite movies from The Walt Disney Studios. Barnes & Noble, which is one of the country’s leading DVD and Blu-ray Disc™ retailers, will now offer an expansive digital collection of popular films and television shows to be enjoyed anywhere on NOOKs, TVs, tablets and smartphones. Barnes & Noble is also planning to make available content from other leading studios to be announced. Beginning this fall in the US and coming this holiday season to the UK, NOOK Video will offer customers the opportunity to shop an extensive and diverse digital collection of standard and high-definition movies and TV shows available for streaming and download. Through deals with these and other major studios, the NOOK Video catalog will offer something for everyone in the family to enjoy, including Disney-Pixar’s Brave and Toy Story 3, Marvel’s The Avengers, 21 Jump Street, Awkward, The Artist, Breaking Bad, Dora the Explorer, The Daily Show with Jon Stewart, Spartacus, Magic City, The Walking Dead, True Blood®, Game of Thrones®, Harry Potter movies, The Dark Knight, The Hangover and many more.